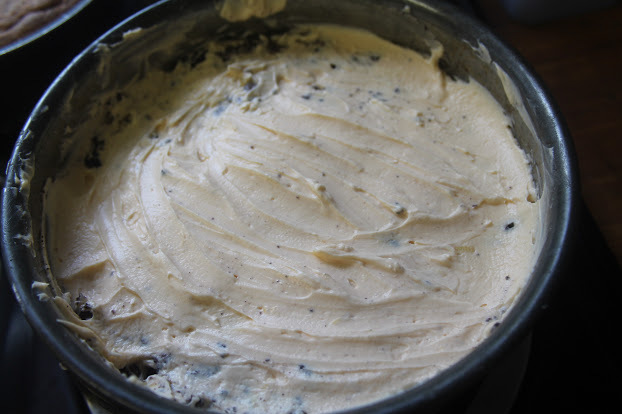 Make the base by combining all but three of the crushed biscuits with the softened butter and press 2/3 of this mixture into a 8″ spring form tin and leave to cool. Meanwhile mix together the cream cheese, sour cream, lemon zest, custard powder, vanilla essence and sugar. 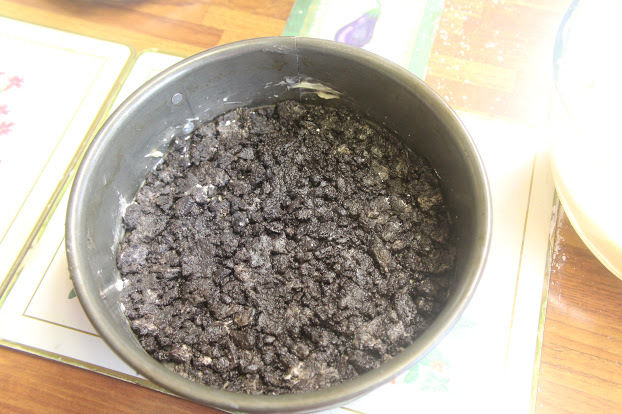 Then spread half over the base, sprinkle the remaining 1/3 biscuit base on and top with the other half of the mixture. At this point it can get a bit messy! Smooth the top and bake for about one hour until firm to the touch. Cool on a wire rack for at least two hours before decorating the top. 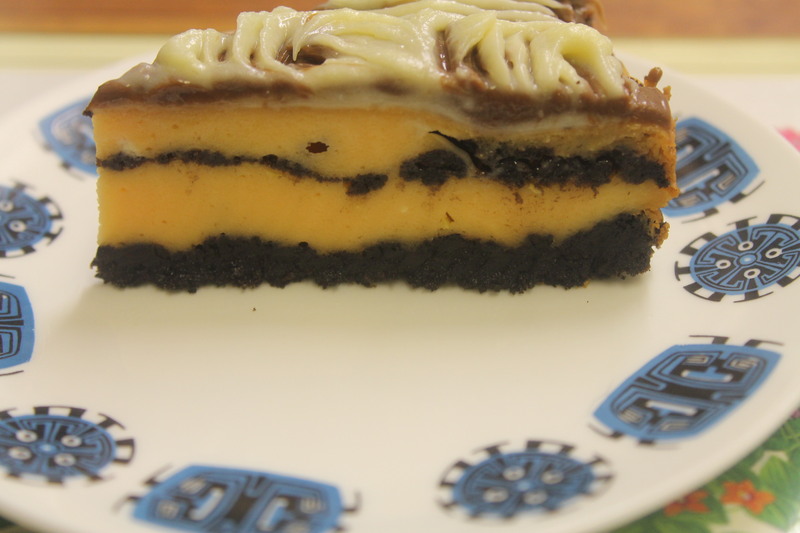 For the topping melt the dark chocolate and mix with 3 oz cream, melt the white chocolate in a separate container and mix with the remaining one oz of cream. 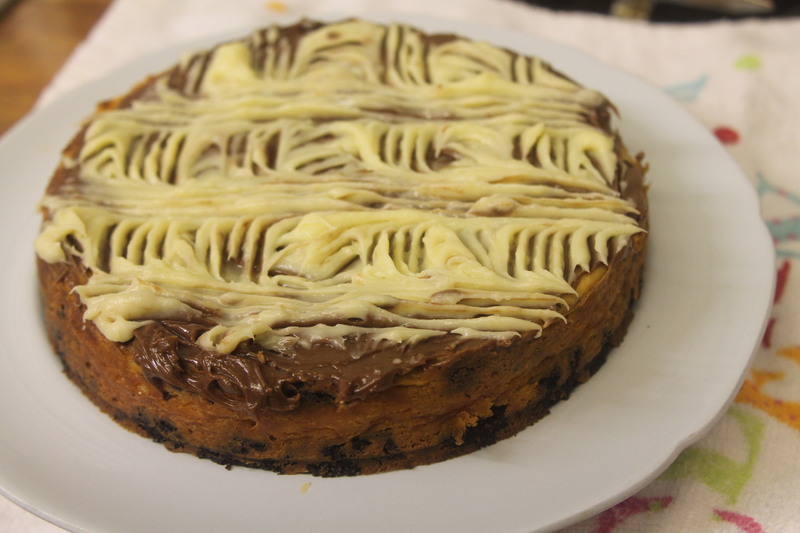 Spread the dark chocolate over the entire cake top and drizzle on the white chocolate. Use a fork to create a pattern on top and, presuming you still have the 3 biscuits you did not use in the base then use these to decorate the sides. Mine had mysteriously disappeared when it came to this part!! This recipe was delicious. It had great taste. Can’t wait to make again. Made for my softball team on Fridays. They loved them!! !